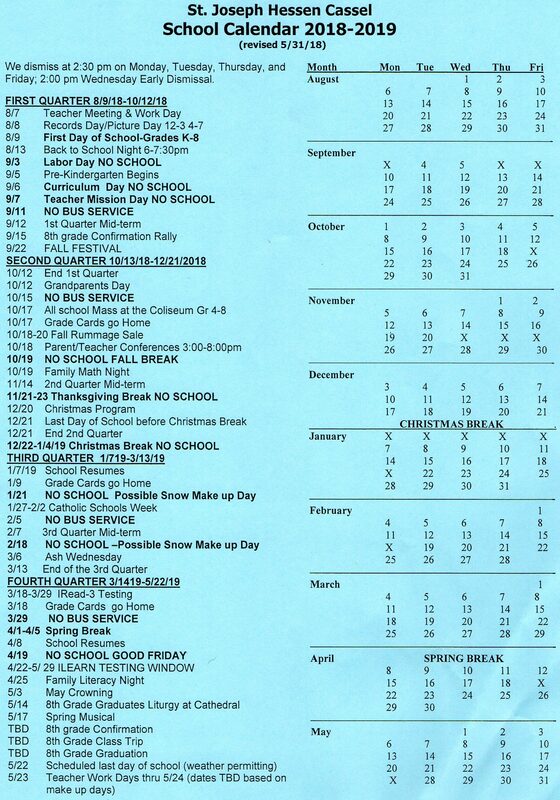 Below is the School Calendar for the 2018-2019 school year. All files are in .pdf (Portable Document Format). Adobe’s Acrobat Reader is necessary to view.